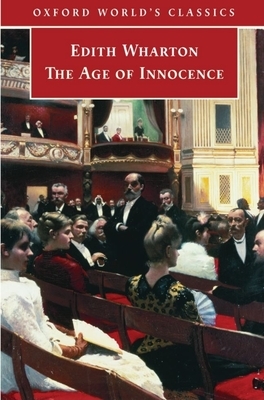 The Age of Innocence, Edith Wharton's most famous novel, is a love story, written immediately after the end of the First World War. Its brilliant anatomization of the snobbery and hypocrisy of the wealthy elite of New York society in the 1870s made it an instant classic, and it won the Pulitzer Prize in 1921. Newland Archer, Wharton's protagonist, charming, tactful, enlightened, is a thorough product of this society; he accepts its standards and abides by its rules but he also recognizes its limitations. His engagement to the impeccable May Welland assures him of a safe and conventional future, until the arrival of May's cousin Ellen Olenska. Independent, free-thinking, scandalously separated from her husband, Ellen forces Archer to question the values and assumptions of his narrow world. As their love for each other grows, Archer has to decide where his ultimate loyalty lies. Stephen Orgel's introduction and notes set the novel in the context of the period and discusses Wharton's skilfull weaving of characters and plot, her anthropological exactitude, and the novel's autobiographical overtones. Stephen Orgel is the editor of The Tempest and The Winter's Tale for the Oxford Shakeseare in OWC, co-editor with Jonathan Goldberg of Paradise Lost and Milton's Major Works in OWC, and editor of Wharton's The Custom of the Country in OWC.